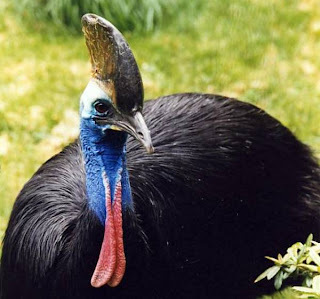 Animal Wildlife | Southern Cassowary | The Southern Cassowary is a large bird that lives in New Guinea and Australia. They are flightless, but equipped with a strong kick. Their numbers continue to decline because of disappearing tropical rainforests and hunting. 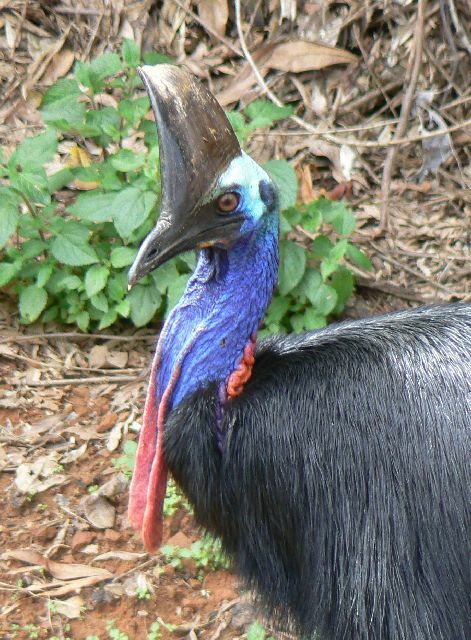 The Southern Cassowary also known as Double-wattled Cassowary, Australian Cassowary or Two-wattled Cassowary. In appearance, the Cassowary looks like a short, heavily-built, black and blue Emu, Dromaius novaehollandiae. 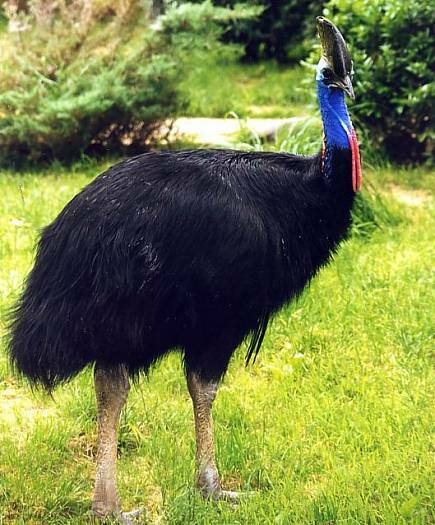 Both species are indeed closely related, belonging to the family Casuariidae, and both are flightless. The female Southern Cassowary selects a male to breed with and then lays a clutch of large green eggs in a scrape in the ground lined with plant material. Once the eggs are laid, the male is left in charge of the incubation and chick-rearing duties, while the female moves away, and may even breed again with another male. During the breeding season, the parental males are very aggressive, and attacks on humans have been recorded at this time. 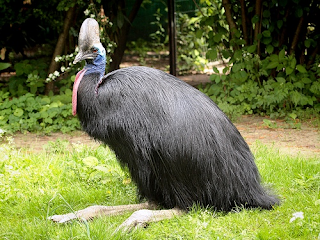 The Southern Cassowary feeds mostly on fruit that has fallen to the ground. The Southern Cassowary will also eat anything from snails to small dead mammals. Southern Cassowaries normally feed alone. If two males should meet, they have a stand off where both birds stand tall, fluff up their feathers and rumble at each other until one retreats. If a male and female meet, the male will move away, as the female is dominant. 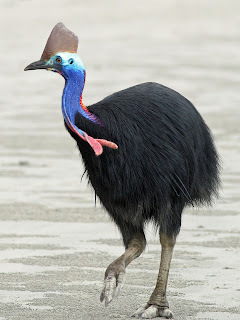 0 Response to "Southern Cassowary"